Dark ambient is a genre that is still quite a mystery, even to many dedicated fans, though it’s been around for several decades. An important factor in the dark ambient scene is the minuscule number of followers, in comparison to many other genres, scattered over the entirety of the globe. From Argentina to Siberia, dark ambient listeners seek something unique, something that is wholly outside the lines of modern trends. During my own personal discovery of the genre, I waded through numerous interviews and live performances, trying to discern exactly what the hell is going on, how these musicians were creating such beautifully blackened ambient soundscapes. Years later, I understand a whole lot more than I did in the beginning. But it is still a daunting task, attempting to understand the machinations and sorcery of these musicians. Dark Ambient 101 was born of this search for understanding. This article can be used as an interesting read for the average follower. It can be a first step towards something bigger and better for the fledgling artist. Finally, it can be a means for dark ambient artists across a spectrum of styles and regions, to find out a bit more about each other, why one artist has this particular sound or another comes up with something totally different. This article is quite massive. There is a mountain of useful and interesting information here to keep you entertained possibly for hours! So proceed in whichever way will serve you best. You can search the questions for something that particularly draws your interest, or you can browse only the answers of your favorite artist. I, however, would recommend enjoying this a little at a time over several sessions. You are likely to have a much better picture, coming out the other side, of how and why dark ambient artists make the decisions they make, from album theme to field-recording microphone models. Kammarheit: I prefer a bit of both. Analog equipment, especially reel-to-reel tape recorders or homemade cassette loops tend to inspire me more and creates the type of sound sources that I find good for manipulating. I don’t mind including a bit of the humming of cables and the hissing of tape. Instead of just using a sample as it is, I often record it with my tape recorder which I connect to a few pedals and re-record the sound somewhere in my home using a small amplifier and a proper microphone. It takes more time, but it often leads to a whole lot of new ideas and interesting sounds. Most of the time I make improvisation sessions with analog synths, tape loops or acoustic instruments through effect pedals, and then pick out the best parts in my computer and play them on the midi keyboard. Pär Boström with analog devices. Seesar: Being a percussionist, my music is entirely analog in the early stages. I strive to make unfamiliar sounds, often acknowledging Italian Futurist aesthetics and timbral groupings as part of my musical focus, that present acoustic sounds intended to seem electronic or, at least, unusual. I use digital means to organize and manipulate the recordings, so I must also say that I embrace both analogue and digital elements in my presentations, but all source sounds (samples, base tracks, overdubs, et cetera) are analogue in my tracks. a. What do you see as the differences between analog and digital creations of dark ambient music? Aegri Somnia: It’s a long debate and you will always have sides that prefer one over the other or both. Digital/analog have both cons and pros, and you have purists on both sides. My preferences are analog for bass, digital for leads, pads, efx, sound design, etc. It’s all about preference and specific needs of production, really. It’s a trend nowadays to use virtual emulations of analog synths. It comes very close to the real deal as computers are more powerful than ever. Stuzha: Making analog sound good is certainly a skill. For dark ambient, I guess you have to go with lots of digital effects on top of analog anyway. So for me, it is a merry union. However, digital stuff can also be a cheaper and more efficient way to reach your goal. Skadi: Both domains have their benefits. In the analog domain, you’ll have the classic approach of sound creation, including: twiddling knobs, the warmth of analog sound, the jitter of the signals in many synths. However, the digital domain provides an incredible spectrum of possibilities to create sounds and textures. It adds sampling, creative synthesis methods. On top of this, it also provides analog emulation of many famous synths for an affordable price. I tend to recommend experimenting in both domains. Especially for starters, the digital domain could be more flexible and thus, more attractive since usually you have less money to spend on getting decent equipment. Atrox Pestis: I personally prefer the feel, sound, and aesthetics of analog. I try to incorporate the analog feeling, as much as possible, in my own work. However, I depend on digital so much that using exclusively analog would make no sense for me. I think this is a very personal thing. Some artists exist solely in one domain, while others move freely between the two. Nowadays, with analog modeling software and modern plug-ins, someone, who may not have the analog gear to get the sound they want, can do it all digitally with fairly good results. I suppose the key differences would be sound, performance capabilities, and ease of accessibility. Mebitek: It’s all the same, creativity is the key point. protoU: I prefer digital over analog at the moment. I think that, in order to be a gear person, you need to clearly know what you need and what can be achieved from a certain analog tool. I feel more comfy with something that can be morphed out of software. I think I would get impatient with crafting something out of a synth. I mean, I would probably love to play around with it, but in the end it all comes down to what you can achieve with it. I mean, you can have all the most sophisticated equipment in the world, but have zero ideas with it. It becomes worthless. Shrine: I think the “analog vs digital” question has not been valid for a long time now. It was valid in the past when digital equipment was in its infancy, so to speak, but not anymore. I’m not saying there’s no difference in the sound between analog and digital tools. But, you can also have differences between various analog tools, and between various digital tools too. There are also hybrid synths, with digital oscillators and analog filters, for example. And besides, what if you are using analog synths, but process them with digital effects? Or if you are using digital synths and process them with analog effects? I believe the more important question these days is hardware vs software, not analog vs digital. Ugasanie: I can not say which is better. It all depends on the equipment on which the music is played. Also depends on the format. I am sure that most people do not feel the difference. Of course, this does not apply to live performances. There, analog is much more pleasant to me. Seesar: I think merely the approach to deciding which timbres and tunings to enlist in a composition, as determined by the media production method of choice, is the main difference between analogue and digital means of dark ambient music creation. What I mean here is that with digital music there are two main approaches – synthesizing sounds to incorporate or manipulating sounds sampled (either analogue or digital sounds). With analogue music making, there is only one main approach – creating samples to incorporate, be that live performances, entire tracks of root sounds, small samples to alter in the studio, overdubbing of sounds onto partially finished tracks, and so forth. When thinking about how to go about creating the sounds, you, as a composer and performer, wish to use within your works, the choice you make to generate the sounds you use informs the ways in which you are able to create the finished work. Obviously, it is possible, too, for you to utilize both analogue and digital. There is certainly not one that is better than the other. It is simply a matter of preference and aesthetic taste. There can be extreme differences between analogue and digital creations, or they can be merged together seamlessly, as well, depending on the desire of the composer, methodology of the performer, and intended end result of the piece. b. What are some of the key instruments/programs that you use to make analog dark ambient? Treha Sektori: Voices, everything around. Lately, I try to build my own instruments, making music as a substance, physically living the act of creation, the act of recording. Aegri Somnia: Any semi-modular poly-analog synth will do the job. Examples: MFB Kraftzwerg, Korg minilogue or their MS-20, Roland SE-02, Dreadbox Erebus, Moog Mother-32, or the Pittsburgh Modular Lifeforms SV-1. If you have a lot of money to burn, you can go full modular and pick from thousands of Eurorack modules available, and build your own modular system, whatever you want. You can go modular in the virtual digital environment for free, with VCV rack. You can go DIY with platforms like Arduino and build your own synths. You can buy some used virtual analog all-in-one synth, like the older access virus synths, that have all you need. 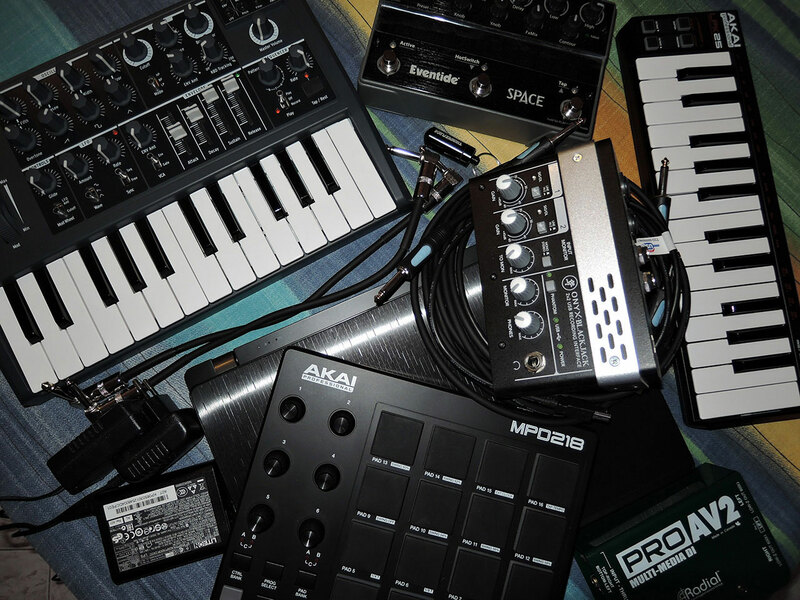 Stuzha: I personally use analogue Korg keys and bass, as well as various guitars. Seesar: I use a combination of extended performance techniques on standard instrumentation; re-purposed “household” items, converting their function from a non-musical one to one of sonic exploration; and purpose-built noise-making devices (often self-made). I also, occasionally, use specific traditional folk or classical instruments from various cultures to emphasize musical narratives within my pieces, such as incorporating Polynesian percussion when evoking stories of the mythical Tcho Tcho people or a thirteen-moon Pagan ritual frame drum when attempting to refer musically to a Samhain celebration, for example. I often select instrumentation for individual tracks that will reflect the nature, feel, or story inspiring the work, and I regularly attempt to find new instrumentation, whenever possible and appropriate, to rotate through new timbres and tunings in an attempt to avoid stagnation in my palette of sounds. Of course, I also have favourites, to which I return regularly. Atrox Pestis: I use a wide range of analog gear in every step of the performing and recording process, from instruments to tape consoles. Most commonly, I use several analog synthesizers but mainly the MS-20 mini and Mother-32. I use electro-acoustic elements such as contact mics and coil pickups; plenty of analog distortions, delays and reverbs, as well as spring reverb, outboard gear and various tape recorders. Mebitek: MeeBlip Triode and Arturia MicroBrute. Shrine: None. I work entirely with software, when composing. I have some analog synths around, with the sole purpose to use them at live performances. I’m not using them in the studio. Note: There are software programs that emulate analog hardware, but they are not real analog tools. Sonologyst: Analog synthesizers, electrified string instruments, guitars, samples, editing software and plug-ins, percussions, and wind instruments parts (commissioned to other musicians). c. What are some of the key instruments/programs that you use to make digital dark ambient? Ugasanie: Recently, my main instrument is a recorder (dictaphone). I constantly record various sounds, backgrounds, and voices. Sometimes, I integrate a sound into a synthesizer. Other times, I use live instruments, which I also record on the recorder. Basically these are simple instruments: ocarina, vargan (or khomus), didgeridoo (I made it from a conventional PVC pipe), calimba, wooden flute, shakuhachi, acoustic guitar, tambourine, rain stick. Many of these instruments I made, myself. Almost always, I change the original sound of the instrument. The programs that I use: Adobe Audition, Reaper, Absynth, different virtual synthesizers, recently sometimes Ableton Live. Also I use a mini synthesizer from Arthuria. Skadi: I started in the digital domain, including virtual instruments and digital hardware synth. In my early years I experimented with internal soundcards like the Soundblaster AWE32. I used their sampling capabilities on a deep level. Later, I enhanced my rig with a Nord Lead 2, a Korg Trinity and a Creamware DSP card. However, time and PC performance changed significantly. So, I switched entirely to virtual studio technology using several East West Quantum Leap Libraries, Spectrasonic Omnisphere 2, amongst several other instruments and effects and Izotope Ozone for mastering. Atrox Pestis: I really enjoy granular synthesis specifically for dark ambient. I use SAMPLR, which is an app for iPad, quite a bit. Also, I use some digital synthesizers, digital effect pedals, and track most things on Pro Tools. protoU: Ableton Live is my weapon of choice, here. I also use Kontakt a lot. All other effects are mostly built in Ableton. I try to keep it all clean, and not clump things together. I also have the AKAI MPK Mini controller. I don’t think I need anything more, actually. Shrine: All software. Native Instruments synths only, when it comes to synthesis. Plus, external plugins for Reaktor and Kontakt. Various plugins for processing (too many to list). Sonologyst: Mainly plugins to work on noise parts. 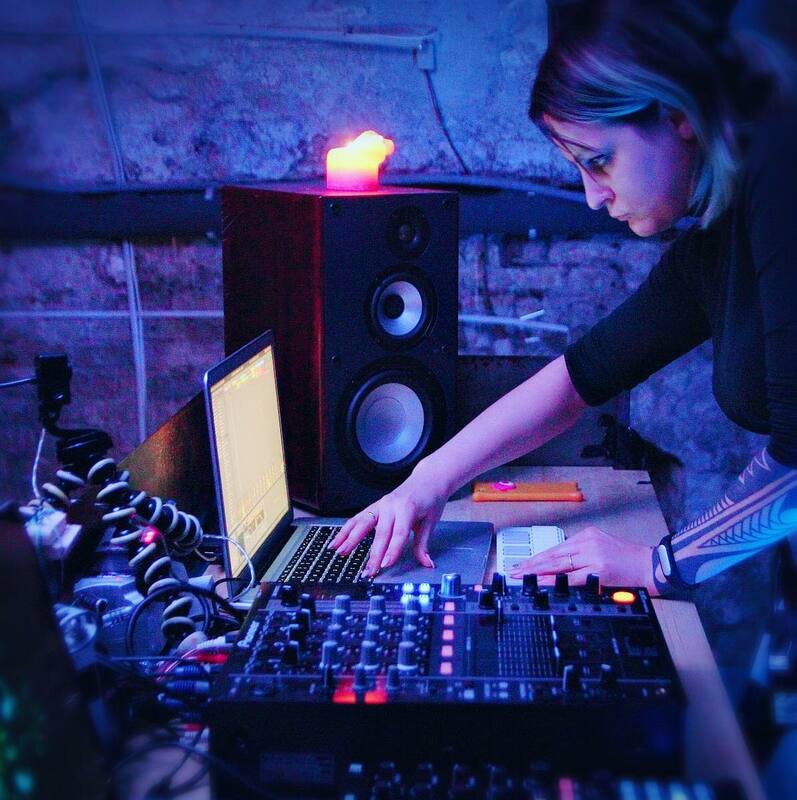 Treha Sektori: I don’t use programs to create sounds, just as a way to edit, mix, and sometimes process certain effects. I use Logic Pro. Aegri Somnia: Absynth, Massive, Reaktor, Sylenth, Diva, Ace, Serum, Spire, Omnisphere, etc. Stuzha: I use many digital effects normally. I also use digital synths like Mininova and Waldorf Blofeld. d. Do you see one or the other as being the “better” technique for creation of dark ambient music? Treha Sektori: I think technique is not important, as everyone find their way. Stuzha: It is indeed difficult to classify “better” in this business. For me it is all up to a moment and improvisation. Often, the main problem is to shape the idea well, it can be a very frustrating and time-consuming process. Seesar: Absolutely not. I realise this is a question intended for instruction, but I think it should be emphasized that the creation of music be developed through one’s own preference and means available, rather than claiming analog or digital be more useful over the other to create dark ambient music. Embrace that which you are most comfortable and to which you have the easiest access, then cultivate your style and methods of creation, expanding into other areas when you are able and interested in doing so. The end music result will be exciting and innovative in all circumstances if you, as a dark ambient artist, engage with your creativity on a compositional and performative level, incorporating what you see fit and with which you are familiar. Atrox Pestis: They both have their strengths, for sure. Dark ambient has a far more analog sound and feel than so many other electronic music genres. So, pulling off a purely digital process, while still having the analog feel, takes more skill. But, personal preferences aside I cannot call one “better” than the other. Digital is far more versatile, but I find the sound and live playability of analog gear in most cases to be superior. Skadi: The quality of dark ambient is not a matter of the tool you’ll use, but is based on emotion and inspiration. For me, good dark ambient is based on the ability to turn emotions and situations into sound. Shrine: Not sure, when it comes to comparison between analog and digital hardware. As for hardware vs software, I personally think that working with software is more versatile. With hardware you are bound to the physical reality while, with software you can go beyond and do things that are not possible with hardware. On the other hand, hardware in general still has superior sound quality to software (although the difference is getting slim nowadays). Sonologyst: Everyone has to develop the better process fitting with her/his attitude. Ugasanie: There is no better method. You must always use what you have at the moment. The best method is an experiment. In our time, of course, everything has become much easier. I dont need to glue the loops from the tape or solder new detail in musical boxes. Everything is much more accessible. a. What are some of the techniques you use to create drones? Treha Sektori: Bow on a guitar for example, slowed and pitch down vocals…. Stuzha: I use bass guitar these days. Just a quick picking or tremolo playing. Then, lots of delay and reverb on top of that. Seesar: Acoustic drone creation can be tricky, but there are certainly some effective creation methods that can be translated to many situations. Bowing an object, shaking an object, or rolling or scraping something over an object can all be useful techniques to employ. 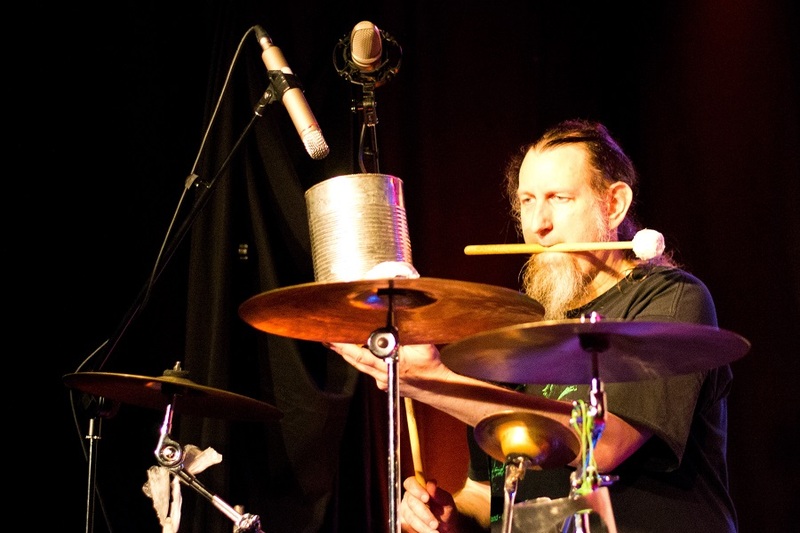 I regularly bow cymbals, pieces of plastic, or homemade stringed instruments; attach a spring to a resonator and shake it; or place a ball or stones in a bowl and move the bowl in a circle, allowing the ball or stones to roll around inside the bowl, which will resonate loudly with a consistent movement. Singing bowl-style rubbing a piece of wood or metal against something is somewhat of a combination of these methods, and is also very effective on certain free-moving bodies. 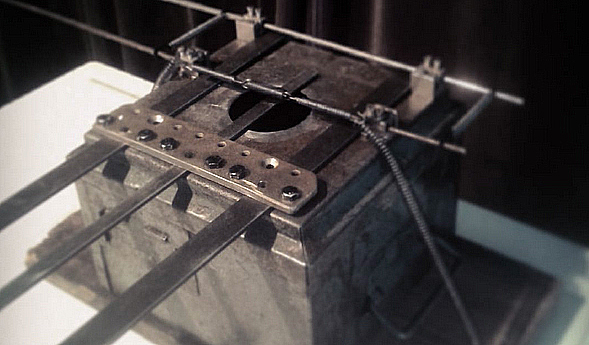 Mechanical means to generate constant movment or extended decays is another useful approach to creating a drone, such as rotating the tyre of a bicycle with the pedal, and then scraping the rubber of the moving tyre or generate a constant whining sound that can be either used unaltered, or be manipulated in the studio. Skadi: I prefer multi-layered soundscapes with different automation to create ever-changing textures. Furthermore, I usually add some background “assisting” drones, like eerie choirs, or give the main drone more expression. Mebitek: Time stretching on single sound, delay, distortion and reverb. protoU: Sometimes I layer sounds on top of each other. Sometimes I just play a few synths at once and they create such an immersive feeling that it really needs just a bit of editing and a proper backbone, then it is done. Taphephobia: I usually use a lot of reverb and echo, but not always. It depends on the sound. b. Do you have a favorite program/instrument to use for creating drones? Skadi: Definitely Spectrasonics Omnisphere 2, since it’s a swiss army knife for sound design, and you have the opportunity to include your own samples, as well. Mebitek: Native Instruments and Kontakt. protoU: I think it’s mostly Kontakt, and morphing all the different field recordings I make. Taphephobia: My guitar and Adobe Audition 3.0. I am pretty much a comfort-guy. If I like something, I try to stick with it. Treha Sektori: Theremin is lovely for droning. Aegri Somnia: Reaktor enables you to create random calculated drones, and one life time is not enough to explore all its possibilities. Stuzha: I quite like using Paul’s Extreme Sound Stretch on some field recordings like wind. Seesar: Definitely bowing or scraping cymbals is one of my favourite means to create a drone. The overtones of vibrating discs can often interact with each other, even in just a basic, one-cymbal only situation, and typically complement and parallel over sounds to create rich, full-frequency passages. I also greatly like dragging a rubber ball over a membrane, like a large drum head, which is similar to bowing or scraping a cymbal, but with an entirely different timbre, and is also aesthetically pleasing and compositionally fulfilling. c. As a beginner did you create drones the same way you do now? 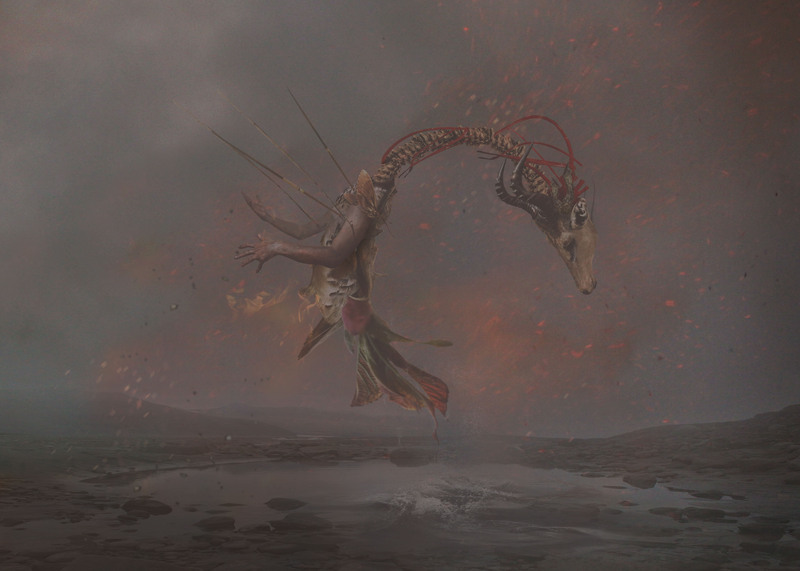 protoU: As an evolving artist, I always seem to change. It depends on how deep you get yourself into different techniques and plugins. I try always to be inspired by something you can’t actually grasp in full. Treha Sektori: I am still improving. Stuzha: I used various VST’s mainly, which I haven’t used for about 10 years now! Seesar: Yes and no. 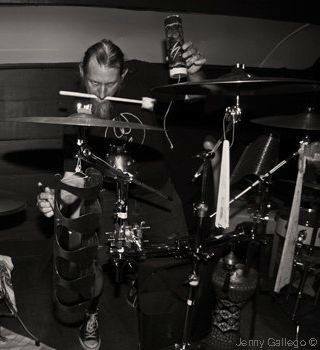 I certainly used lots of cymbals and drums towards the beginning of my career because I was moving from being a math-punk drummer, goth rock drummer, and jazz drummer to a noise-making soundscape artist. Eventually, I found new methods to use and have expanded my techniques and approaches. But I still return often to cymbals and drums, because they simply host solid useful timbres and offer a multitude of possibilities for performance. Skadi: In my early days, I created drones by filtering sounds and noise. Since filtered noise can cause some mastering issues and unforseeable effects, I changed my drones using “cleaner” sounds. Sonologyst: As a beginner I made a lot of mistakes before finding my way. d. Have you changed techniques/software/instruments for creating drones over the progress of your career? Taphephobia: I used an older program, Cool Edit Pro. After the second album (I think?? ), I started to use Adobe Audition 3.0. And, I also began to use Ableton Live on the side for some years now, mostly for live-recordings and finishing the track in Adobe Audition. I would say I am still not an expert at using Ableton. I haven`t really studied the program much, I just play my guitar and try different effects and record it. In the beginning I saw myself as learning to make drones. I think it was on the Black City Skyline I felt that the music had a good flow. Also on that album the guitar became a main instrument. On, for example, House of Memories there are almost no guitars. Mebitek: Changes are normal when you grow up as musician, until you find your way to make music. Sonologyst: Yes I did it many times. And, I continue to change to make the sound fabric different in any production I do. Treha Sektori: I change instruments as often as I can. I am not a good technician, but I am always seeking the tone that’ll move me. In every instrument I can find. Skadi: Of course. As my rig changed to virtual studio tech several times, my techniques, software, and instruments changed as well. Stuzha: Sure. I tend to use more live instruments nowadays to produce interesting and genuine sounds. Seesar: Yes. Not only do I return often to the staples of cymbals and drums for drone creation, I regularly explore new ways to make drones (and non-droning sounds). Keeping in mind the basic Hornbostel-Sachs taxonomy of acoustic sound generation (vibrating strings, vibrating columns of air, vibrating bodies, vibrating membranes), one can investigate means of generating sound using one or more of these methods, as well as approaching the method of generation differently. To find fresh ways to create drones. I suggest exploring as much as you can, until you find the sounds you like and the ways to make them, which provide you with a variety of performance techniques, to enrich your arsenal of drones/sounds for your compositions. e. How important are drones to dark ambient music? Treha Sektori: Good way to move your guts. Always depends on your message. For me, drones appeal to the guts. A way to grab this physical part, to create an uncomfortable feeling. Or, on the contrary, to bring the auditor to a meditative state. But it is a nice way to create a balance in the moving parts, the climaxes. Seesar: That depends entirely on your approach to composition and performance, and your aesthetic preferences. For me, I find drones effective for filling space underneath a more active layer of sounds, for setting a mood and supplying a track with a frequency root around which to compose, and for a timbral theme necessary for countering other sounds and dynamics. Dark ambient music is certainly possible to create without drones. Personally, I prefer dark ambient music to be more involved than just layers of drones. However, I also feel they are highly valuable and functional. So, I suggest to consider using drones alongside other compisitional elements, to maximize your creative possibilities. 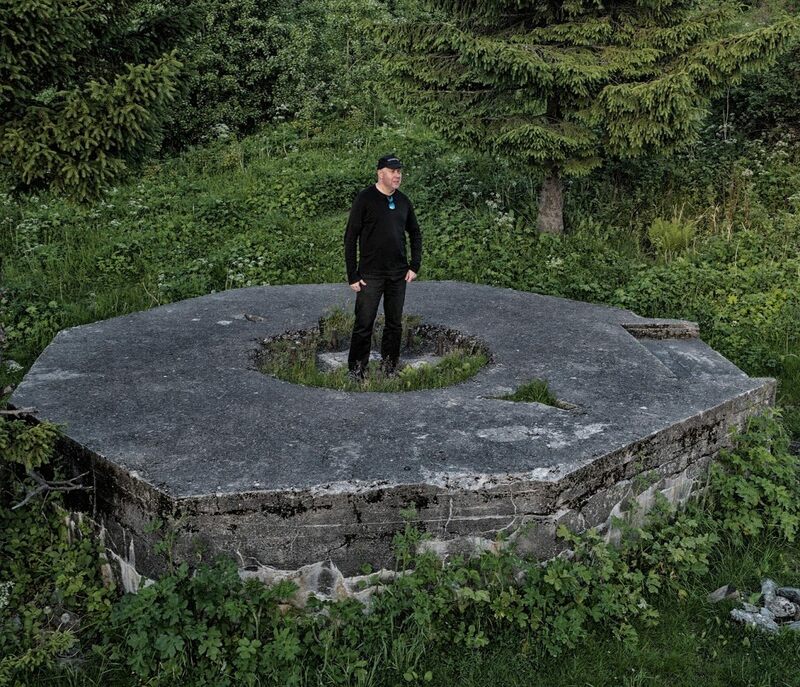 Skadi: Drones provide a solid fundament for dark ambient music. However, dark ambient is not bound to drones entirely. Some tracks, including many of my own work, are based on more natural sounds, rhythms, ethnical instruments, etc., without a dominant drone in the foreground. To sum it up, drones are very important for dark ambient but there are also ways to produce dark ambient music without the usage of drones. a. 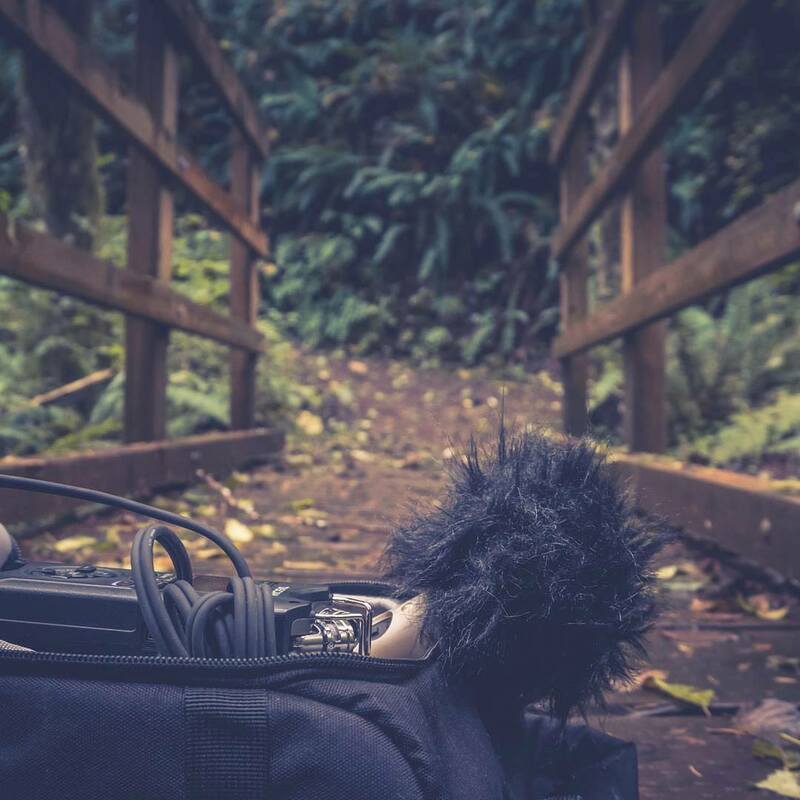 How important are field recordings to dark ambient music? 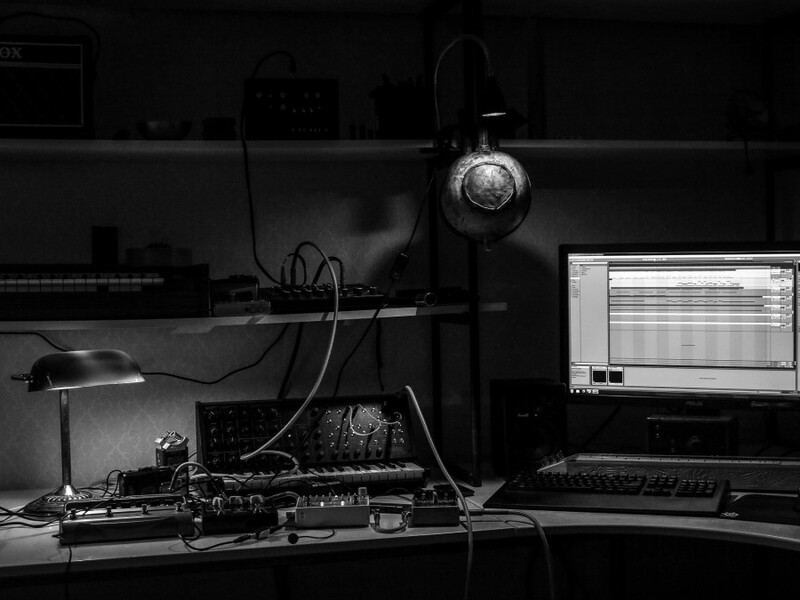 protoU: Field recordings are the essence of the realistic atmosphere we want to convey in dark ambient. Its purpose is to be immersive and get to the point where the listener is fully in the place and time, which the musician is trying to show. Aegri Somnia: Alot in my music, i like organic/nature feel to high frequency spectrum, sound gets another dimension with field recordings. Seesar: I do use field recordings, including ambient sound, sampling, and ethnomusicology field recordings, where applicable and ethically acceptable. Examples of field recordings I have used in my works include cat meowing, raven songs, rain and wind, construction machinery, brad machines, vacuum cleaners, drills, high school pep rallies, and music recorded during ethnomusicology fieldwork research trips (used with permission). The importance of their use is a matter of taste and style. Field recordings certainly add a particular flavour to a piece that cannot be gained otherwise, but it also places a piece in a specific mentality framed by the field recording, which must also be considered by the composer. There is nothing negative about using field recordings, just to be clear. However, they can change the aesthetic of a piece. Their importance is strictly determined by the value the composer places on them. Skadi: As explained before regarding drones, field recordings are quite important to dark ambient music but not required. There are many dark ambient tracks around without any field recording usage. E.g. I rarely use field recordings in my tracks. 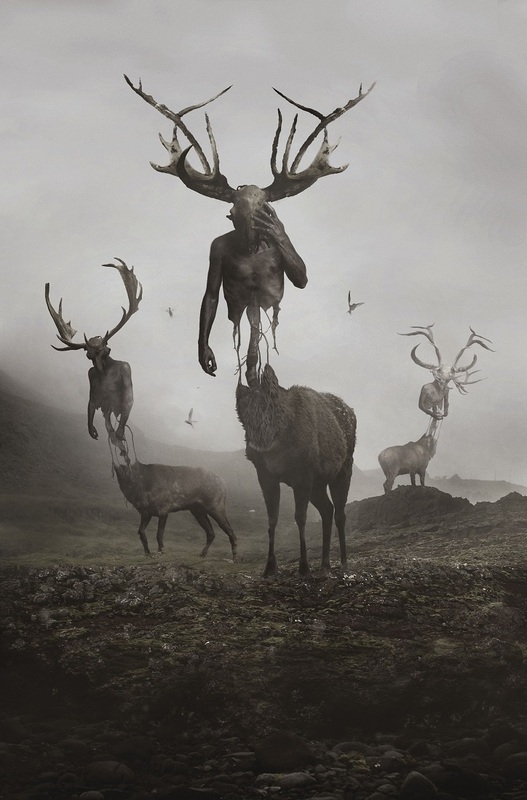 They can definitely provide a very distinctive mood in a track, but emotions and moods can also be transfered with other methods and approaches to dark ambient. Mebitek: Should be the key point for originality. Shrine: Most ambient artists use them I think, more or less. Perhaps, it depends on the specific music. For the so called “organic ambient”, for example, all the natural sounds are an integral part of the music. Sonologyst: They are another fundamental component in dark ambient music. They are the ingredient to create visual atmospheres, vivid landscapes, even stories. They forge a solid concept when the musician has something interesting to tell through the music. Ugasanie: Everyone decides for themselves. Personally, I use them all the time. I love ambient with field recordings. They create the right atmosphere, for me. b. What electronics do you use to capture field recordings? Stuzha: I always had Zoom recorders. Now it is Zoom H4. I managed to freeze it a few times, but otherwise it is a solid piece of equipment. Atrium Carceri: Tascam DR-100 with a dual XLR connected Röde NT4. Atrium Carceri, field recording expedition. Shrine: I used to have a portable field recorder. I sold it off a few years ago, as I wasn’t satisfied with its sound quality. I never bought a new one though. Nowadays it’s easy to find high quality samples online and I already have a pretty big sound library with my own field recordings too. Aegri Somnia: My phone for recent recordings. Any cheap Tascam/Zoom/Sony stand-alone recorder will do the job. Seesar: I use either a portable M-Audio digital recorder or I set up my laptop and capture field recordings with my M-Audio soundcard and Röde NT-4 point stereo mic. Skadi: Since I don’t field record on my own, I use specific libraries with field recordings if required for my tracks. protoU: I use voice recording software on my iPhone. It is more than enough for me for now, but I’m sure I’ll get a good mic someday. I also have a friend with a recording studio, where I borrow different microphones to record stuff. Sonologyst: I’m not a professional of field recordings, so I use simply an iPhone when I’m around to catch everything that could be interesting. c. Do you use a wind-screen? Seesar: Yes. All of my devices have their own, purpose-made, foam windscreen. I also, occasionally, use a floating pop screen for loud or aspirated sounds. Atrox Pestis: Always if I am outdoors – even if it is just my t-shirt wrapped around the mic. I have different wind screens for different mics, but I generally use an open cell foam screen that fits a compact omni mic, which I use most frequently. Mebitek: Yes, a zoom h1 ball wind screen. d. What kind of wind-screen? Shrine: Foam and fur. Two for the built-in mics of the portable recorder, and one more for the external stereo mic I was also using back then. e. When is it necessary to use a wind-screen? Stuzha: Depends on what you record, of course. But you can’t go wrong keeping it on your mic all the time. Seesar: In my opinion, always. Perhaps, if a sound is extremely faint and there is no chance of wind contaminating the recording. But even then, I would more likely tend to use the windscreen, just to be safe. At first, I never used a windscreen of any description. I found myself continually editing out pops, clicks, clipping, and distant unwanted sounds. Using a windscreen helps reduce a lot of post-recording editing issues. I admit, I pay particular detail to using as clean of a sample as possible, so perhaps I address these issues with far too much attention. However, in my experience and using my approaches to field recording, I cannot recommend using a windscreen enough. Mebitek: I always use one, because it gets cleaner sounds. Shrine: All the time, I guess, when recording outdoors. The chances to get the perfect conditions when the windscreen won’t be needed are tiny. But I guess this is more true for recording quiet sounds (e.g. nature) than loud sounds (e.g. machines). f. Do you leave the field recordings raw or do you add effects treatment to them? Treha Sektori: I do treat them. Sometimes, I can record for an hour and only find a couple of seconds that, after modeling, I get what I feel. Kammarheit: I rarely use raw field recordings. I have been using a Zoom H4n for many years and it has been enough for the type of music I want to make. I am not very interested in adding footsteps, dripping water or other easily recognisable sounds. But I really like the process of collecting sounds, that I then manipulate. High and long metallic sounds or traffic recorded through tunnels or under bridges. I often layer lots of different field recordings on top of each other, and play the whole mix as one instrument on my keyboard, making long, meditative drones. As long as it doesn’t get too muddy. Pär Boström (Kammarheit), view from the studio. Aegri Somnia: Raw, I just cut unnecessary frequencies. When I use an unusual sound, then I manupulate it and use it for a specific purpose. Stuzha: I like both. Sometimes it is important to tell the story, so I use raw. Seesar: It depends on the sound recorded. I would say, typically, I remove noise and unwanted sounds from a field recording. Then, I edit it to use the section I want, and often add some effect (reverb, change of pitch, echo, et cetera), along with a raw version whenever feasible. This ensures the original recording is heard, but within the context of the dark ambient piece, alongside the altered version of the recording. Atrium Carceri: Almost always EQ, and most times compression to smooth volume spikes, if too rough. Atrox Pestis: Both. I want some sounds to be very clear as to their source. Others, I may have recorded because I wanted to capture a texture or specific tone, and then I’ll add the effects that will boost what I like about the recordings or alter them altogether. Shrine: Essentially every sound in music production needs treatment (as equalization, compression, etc. ), not only field recordings. Yes, sometimes it is possible to have a perfect raw sound that you can use without any treatment but this is rather an exception. And if by treatment you mean adding sound effects like reverberation or distortion, then it depends on the specific composition and how you want it to sound, so it’s up to you. Sonologyst: I usually treat field recordings with additional reverbs. But the most important thing is to find the right level for the field recording layer in the mix. Mixing is by all means a crucial part in the process. g. Do you use field recordings in the creation of drone or do you only use them as a secondary layer of sound? Aegri Somnia: I use them as layers only. Stuzha: Yes, some field recordings can be perfect for the drone manufacturing process. Seesar: Both. If a field recording is long and droning, then, obviously, it is most likely suitable for being a drone within a piece. I also may take a shorter sample and stretch it to make it a drone, or vice versa, edit a long recording to use it for secondary layer sampling. Shorter sounds, though, tend to be used more clearly on top of drones in my pieces. Skadi: If I use field recordings, I usually use them as a secondary layer with heavy treatment. Mebitek: I usually use them as a second layer, but sometimes I use them as a sound generator. protoU: Sometimes field recordings are the basis of drones, because the natural atmosphere often has it’s own natural sounds, even with notes sometimes. Shrine: No, my drones are always synthesized. 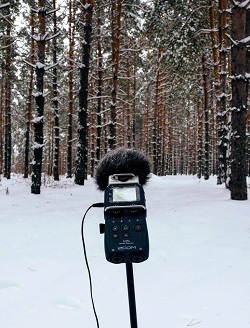 Field recordings are mostly used as a background. Sonologyst: It’s possible to use field recordings for drones, why not? a. Do you use your own voice, hire a voice actor, or use samples from films/television/speeches? Treha Sektori: I use my own voice. Mebitek: Usually I record my own voice, but sometimes I need female vocals. Stuzha: I use my own voice, but I don’t like how it sounds. I used film samples a lot for one of my cinematic drone projects. Seesar: I most often use my own voice, and employ a range of vocal techniques to provide varying timbres, as I can. Once or twice, I have used vocal sounds from other people, and live I have used many vocalists at once for a choir-like passage. I have not used samples from film or television, but it is certainly a possibility, if you have the permission to use the material. Skadi: When I use vocals, I usually use samples. Sonologyst: Yes, samples from old documentaries, movies, speeches are my favorite. But I also asked singers to send to me parts for specific uses. Taphephobia: Mostly I use my own voice and sometimes I ask friends. Clips of real people (for example on Youtube) or movies, too. I don`t think I will use that much movie samples in the future. To be honest, I don`t think I need it. Ugasanie: Mostly my own, but sometimes also samples from films. Alternatively, sometimes people share material, if you ask. For example, the track ” Arctic Hysteria” turned out so. b. Is it necessary to ask permission of the original copyright holder before using samples of vocals in your music? Stuzha: Better to ask, but you can find lots of really amazing movies to sample on archive.org. But at the end of day I make no money out of it! Seesar: Exceptionally important. You do not want to have your work removed from online hosts or incur legal action because you incorporated a sample for which you did not have permission to use. It does happen. Check the current sampling laws in your country with your performing rights organization to get the details you need to stay within legal constraints of sampling. They are much more lenient than you may expect, and you may also find that the source you wish to sample is quite willing to give you permission, typically under a creative commons license that will allow you to use their work/recording for merely giving them public credit for the sample. Furthermore, there is little reason to sample without permission. Creating your own samples is easy and keeps your music original with you holding all the rights, so it is to your benefit to stay within the law and only sample with permission. In my experience, doing so has always resulted in benefits for me and my music, which is a pleasant bonus for only using samples with permission. Skadi: It depends. Basically, you need permission for the usage of samples, especially when you take whole passages from other music. Sample Libraries with speech samples contain a royalty free license which allows you to use them. Shrine: Good question. There are three times I have used spoken-word samples so far: one taken from a film, and two from Youtube videos. I only checked the copyrights of the movie, because I used that sample almost without changing it. The other two, I changed drastically, so to me there was no point to bother with copyrights. Sonologyst: No, for they are usually very short samples or free samples. An electronic device or application software used for recording, editing and producing audio files such as musical pieces, songs, speech or sound effects. a. What DAW do you use? Stuzha: I don’t use anything, except Adobe Audition and some plugins… I’m going to look into Ardour. Mebitek: I use Native Instruments Maschine and Ableton Live. Seesar: I use one of two computers, a playback system, and one of two input systems in my private studio. I run Windows 7 Ultimate and Windows 10, 4-8GB of RAM, iCore processors, AMD graphics cards running three monitors with an extended display, a 24 channel digital Yamaha desk, an M-Audio optical input soundcard and a direct M-Audio USB soundcard, an Onkyo power amp, and a set of Harmon-Kardon playback monitors and a set of Advent playback monitors, plus high end Pioneer headphones with over the ear noise-canceling cans. I primarily use Röde and Blue mics. I use the latest full version of Adobe Audition for recording and editing. I have various plug-ins for mastering, but I also typically only master on a very limited scale, leaving the full mastering to the record labels. Skadi: I use several DAWs to produce my music. It depends on the style I want to produce. Mainly, I use Ableton Live for production. However, I also have Propellerhead’s Reason and Cocko’s Reaper for my side projects, and FL Studio which I mainly used before I switched to Ableton. Shrine: I used to use REASON when I started with my music project back in 2003. In 2009 I switched to SONAR, which I’m still using today, and I’m pretty sure I won’t be switching to another DAW ever. Shrine, using the Sonar DAW. Sonologyst: I prefer to escape all questions about DAW, computer and so on, simply because there are not peculiarities for dark ambient music. The logic of hardware and software is the same for all kinds of music. Just, I can add, that I’m a graduated sound technician, so I learned techniques of recording, mixing and mastering through regular courses. But as in all studies, the experience is the most important factor. Do it, do it and do it again. And after some years everyone will find the right set up and process. And for people like me, who don’t have big amounts of money to invest in expensive hardware and software, the experience will help to do more, using less. And this is a big advantage for creativity; when you have poor instruments and have to use your brain to figure out something good. Take a few small stones, beat them together and record the sound by using some freeware delay and reverb. Probably you will be very positively surprised of the result. b. Do you think there is a best DAW to be used, or is it personal taste? Kammarheit: Any DAW will serve you well, once you know how it works. I have been using Reason and Ableton Live for many years. I had the ambition to learn Cubase, but I just felt frustrated and kept looking for the functions I already knew in my other programs. Atrox Pestis: It’s all personal taste. For noise and dark ambient, I hardly use DAWs full capabilities or features. I came from an audio engineering background, so I am really just using the tools I have and already know. Some people need DAWs a lot more minimally, and are fine with something like Audacity, while others might need a lot more from the program, and use something like Abelton or even use multiple. Atrium Carceri: Personal taste, and it depends on what you are creating. If you are working with a lot of digital beats, a loop based program might be faster (FL Studios, Ableton), while if working on a lot of precision wave editing something like Cubase will be a better fit. Shrine: There’s no best DAW, but choosing one isn’t about taste either. It’s about workflow. There is a set of things you have to do in order to compose a track and this set is highly individual. So a producer usually sticks to a DAW that suits his/her workflow best. Skadi: It’s definitely personal taste which DAW you prefer. Some like Cubase, Presonus One, or Cakewalk Sonar. Others like Reason, Ableton, or FL Studio. The best approach is to check out the DAWs, and stick with the one you like most regarding workflow and features. Seesar: Personal taste. The main thing is qualtiy of output (which also means quality of input). If you can build a DAW that maintains clean recordings, clean editing, clean playback, and clean means of saving and disceminating your works, you can use whatever you prefer, and with which you are familiar and comfortable. In a way, being comfortable with your equipment is the way to ensure that your recordings are clean and professional. Of course, you also have to start with equipment that allows for that, too. Be intelligent when choosing equipment. Do your research, try not to be hasty, talk to other studio engineers, read reviews, and work within your financial means to build your DAW. Today, it is easy to get lots of inexpensive equipment, but not necessarily easy or cheap to get professional, easy to use equipment. Get what works for you, and evolve as your music and career grow. As for editing software, again, use what is within your means and with which you are comfortable. It is extremely important to be able to work smoothly with your editing program. You will need to know your software inside and out to accomplish creating the music you hear in your head, in a timely manner. That being said, you should expect a steep learning curve to familiarizing yourself with your first editing program. But, do not let that discourage you. If you have not worked with an editing program before, do some research and work through a few tutorials before really delving into your first pieces with it. You will want to be fluent with the program to both create your works and meet industry deadlines. Also, you will want to test your software with your equipment to make sure everything is compatible and will provide you with clear, and smooth recordings every session. No composer or performer has time to troubleshoot tech or stop and clean up raw tracks every time you work on a new piece. You will be very happy you took the time to get everything set up and that you are familiar with the software when you are tasked with creating seven new tracks in three days and have no time to do anything but create music. c. Did you have training in the use of this program or did you learn it yourself? Shrine: No training. I learned by myself. I didn’t even learn all of it, only the things I need. Kammarheit: I have never had any training. You don’t need to. I use my programs as often as possible; and I am not afraid to experiment with other types of music, just to learn new techniques. I am still using my programs even on the days when I am not making proper music. Even when I am online, I have half the screen showing my DAW, so I won’t get stuck in social media. Aegri Somnia: I learned it by myself. Today you have tons of Youtube lessons, and you can learn every tiny bit of specific operations in your DAW, its all online available for free, for you to learn. Seesar: Yes and no. Initially, yes, I learned to use my editing software by myself, then I spent time working with two studio engineers to get advice and learn new tricks. Later, I upgraded my software and had to relearn certain things, even though they were supposedly easier in the new version of the program. But, it was not a difficult task, and I was able to engage with the software on my own. I will say, though, that there are many useful tutorials and online courses, so if you are not fully familiar with your software, it will benefit you greatly to take the time to go through some of the available material and ensure you are creating professional level music. Creativity is something you will certainly have if you are reading this. Make sure your creativity is rewarded with professional sounding recordings. Know your equipment, work with engineers, know your strengths and weakness, and engage your music accordingly. Shrine: Once you are familiar with the basics of computer music production, try the demos of as many DAWs as you can. Try to complete a track in each of them. This way you will find what suits you best. Seesar: Ensure your equipment is compatible and will provide you with professional recordings, without hindrance. If you need a new computer, get one. If you need a good mic, get one. If you need the latest version of an editing program, get it. A smoothly running DAW is essential to being a professional. If this is your job or main creative outlet, you should treat it as such. You will be tremendously happy and far more productive with energy spent on your creativity rather than struggling with your DAW. Mebitek: To experiment, experiment and still experiment! Stuzha: Windows, but I use it just for Adobe Audition. I also have some driver issues to plug-in my TonePort to Linux. However, I’d like to do my next album in Linux! Seesar: For me, I utterly despise Apple computers. I find them exceptionally user unfriendly and extremely difficult to use and infinitely over-priced. I, therefore, use Windows and Linux machines. That being said, the main thing is that you are comfortable with your computer. If you are familiar with Macs, use them! Both Apple and Windows machines can support professional software and hardware. It is entirely a preferential decision, but do make sure that your equipment is professional. That is the main issue. Shrine: PC all the way. Don’t get me wrong, I’m not saying Macs are bad, not at all. It’s just their price/performance ratio that is really poor, compared to PCs. For the money you will spend on an average Mac you can build a monster PC that will do a better job for you. But that’s the reality with all Apple devices, you are paying extra just because of the brand. It’s a waste. Ugasanie: I use a budget laptop Samsung, with Windows 7. Treha Sektori: A sound card that is solid, I’d say. Kammarheit: People have managed to make good music even before the advanced components. Don’t get too caught up in the ideal setup. Start with what you have or can afford. For me, music has always been about mood and atmosphere. Exploring and expressing the inner worlds. You can do this with very little equipment. It is only out of curiosity and maybe necessity that I have picked up what little I know about the technical aspect of music making. I often talk to people who are postponing their creativity because they are waiting for the perfect hardware or software and it makes me a bit sad. Aegri Somnia: Active near field monitors, headphones and soundcard. Stuzha: CPU is quite important to do some heavy real-time processing and then sound rendering. Then I’d prioritize sound card and RAM. Don’t forget about audio monitors do not be afraid to spend more on them than on your laptop! Mebitek: As for all electronic music studios, you need a good CPU and as much RAM you can buy. Seesar: All these pieces of equipment are important. Good processors will reduce rendering time, if you are working with high bit rates or adding lots of effects to a large number of tracks within a mix. RAM is also very important for this sort of heavy processing, and it is also useful for multitasking during a session, but I have been able to work with 4-8GB of RAM, easily, on my machines. More is better, of course. Soundcards are extremely important. Getting a clean sound is essential. Do not skimp here. You want the highest quality soundcard you can get within your financial means. I also prefer a lot of screen real estate, because I find it easier to edit fine details and analyze spectrum views of recordings, as well as I often work with a mix of ten to twenty tracks in one piece. Having multiple, large monitors has proven to be very useful and increased my efficiency noticably. Skadi: The most important component is the sound interface. I recommend to use a high quality interface with several I/Os, and the capability to provide low latency signal processing. CPU is also important to have enough power to host the virtual instruments, if applicable. RAM is less important, since the common 16GB nowadays are usually enough. protoU: I think it’s mostly the environment. I can’t create ambient when I’m in a rush or something is not right in the room. I need to have that tranquil sense. It will all be reflected in the music. Shrine: The most important things are, of course, the clock speed of the processor, and the performance of the I/O driver of your audio interface (sound card). 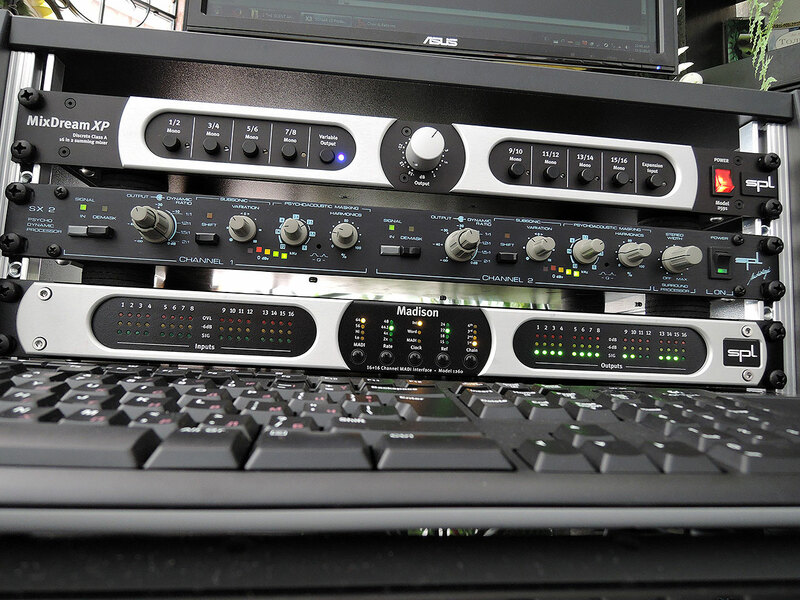 In a professional setup the audio interface is usually not a part of the computer, but even if it is, the performance of the sound driver is still vital for the DAW. A higher number of processor cores can help too, in case your DAW properly supports multitasking. And if you will be using sample based instruments (especially the orchestral and choral ones where every tone and articulation is coming from a separate audio file), then the RAM size will be a factor too, as the DAW will load all the samples into RAM. Skadi: An i5 Quadcore is good enough, unless you have a lot of VST instances running in parallel. Since most VSTs are not able to use multicore, and run on one core of the CPU (however, a multicore enabled DAW will distribute the VST instances onto the multiple CPU cores), a decent CPU speed is also recommendable. 8gb is the minimum for serious music production, but 16gb+ is recommended. protoU: It always depends on the DAW, and what you are aiming for. There are different techniques to make your program work better with little resources. Shrine: This very much depends on how many virtual instruments and virtual effects you are using. If you only record and mix audio, without processing, and without synthesis, you can go even with a low spec computer. The more virtual instruments and virtual effects you use, the more computing power you will need. Aegri Somnia: I run smooth with Intel Core i3 and 4gb RAM for most situations. Newer stuff like Diva and other analog emulators are very CPU hungry, so if you run more than two of them, it’s wise to update your processor and RAM. Stuzha: I’d say indeed i5 intel, 8gb RAM should do. I use my 8 year old Lenovo G780 laptop, but thinking of upgrading. Mebitek: An i7, 16gb ram, and a solid-state hard disk. Seesar: It is less important to be concerned with minimums, and more concerned about compatibility. As long as you are able to ensure your programs run smoothly and your end result is professional. 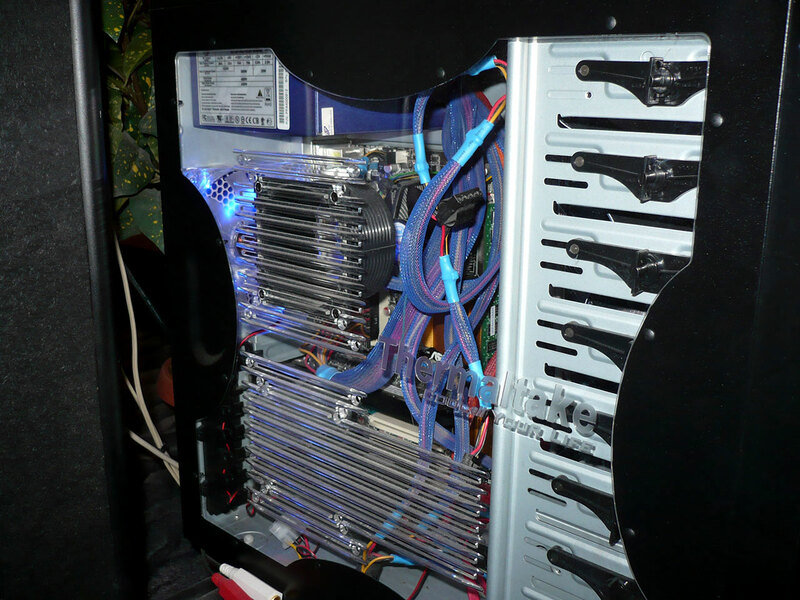 I run a quad i5 on one machine and a duo i7 on another. Currently, both machines have 8GB of RAM. I find they are effecient to conduct my work. But, I am saving up to upgrade to a newer machine in the new year. d. What would you say is the best computer set-up for a studio? Seesar: The main issue is simply being able to do what you need your computer to do. For sampling, you will need more RAM. For mixing and mastering, you need more processing power. You will need scratch disc and storage space, too, so be sure to have lots of space on your hard drive(s). I have three 1TB hard drives, two 750GB hard drives, and one 4TB drive. The difference between a high end duo core and a mid grade quad is not significant, in my experience. A higher processing speed, however, can be very useful. Consider getting a high speed processor, at least 4GB of RAM (preferably more), and have at least 500GB of space to store tracks and use and workspace for your audio programs. Skadi: That’s a difficult question, since the answer is based on the budget someone is willing or able to spend. You can have a decent music production rig for roughly $1000 including a good USB interface (e.g. Focusrite Scarlett), but you can also spend a lot more and get a $10,000+ rig, including a RME Hammerfall, Neumann mics etc etc. Shrine: Get the fastest processor you can afford. Make sure it’s not a “low power” model. An energy saving processor will probably fail you on music production, even if it’s a very fast one. e. What would be the most bare-bones acceptable set-up? Seesar: Maybe an i3 with 2GHz speed, and a hard drive with 250GB. It would be slow, of course. But, that could get you through making a few tracks, until you can upgrade. Skadi: An AMD or intel based Quadcore CPU, 8gb RAM and the usage of ASIO4ALL, to get low latency on onboard soundcards. A dualcore CPU is also acceptable, if you’re willing to deal with the limitations of instruments and effects. a. Where do you go to find samples? Mebitek: I record them, myself. Seesar: I create my own samples. 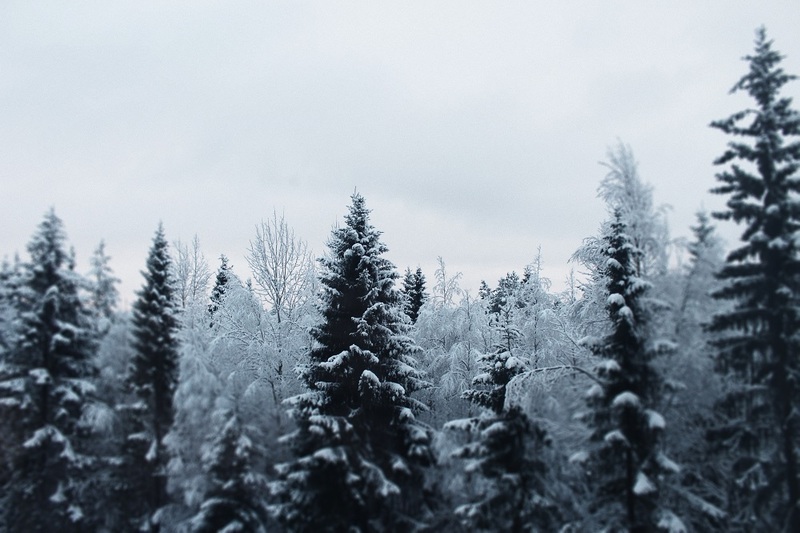 Skadi: If required, I check Nord Sample Library for ambient, soundscape, effects, and natural sounds collections. Quite often, they are a good source of inspiration. protoU: Lately, I’ve been crafting/recording them myself. But, I also use resources like freesound.org and similar ones. Shrine: There are tons of free sounds on freesound.org. There are also countless paid sample libraries of a good quality all over the internet, for reasonable prices. But most often, I create samples, myself. Ugasanie: Everywhere: forest, city, factory, buildings … anywhere. b. What samples would be off-limits in a legal sense? Aegri Somnia: That’s a controversial question. Atrium Carceri: Depends on if your music is aiming to be copyrighted and included in copyright audio services (like Youtube’s claim system). If so, any samples you didn’t create yourself are off limits, since you can’t copyright what you didn’t create. Youtube will hunt down any other audio using the samples YOU used and claim that you own the copyrights to them. No label wants to deal with the backlash of something like that. For us at Cryo Chamber, 30% of demos are rejected because of sample use. Mebitek: For any copyrighted sample, you need to have permission for use in your tracks. Seesar: Any sample for which you do not have permission to use, would be off limits. Be sure to familiarize yourself with licensing laws in your country. Most legal systems allow for certain types and lengths of samples to be used. They also allow for extensive creative commons sampling, which only requires you to acknowledge the creator of the sample. Some levels of licensing requires that you pay royalties on samples, when you make money off of the track in which they are used. Others require an up-front one time payment, whilst others require all of the above. Make sure you have permission to use a sample before mixing it into your track! Skadi: Using sampled passages of someone else’s musical works without permission. However, I am fine, if someone would sample my work in parts. As long as the samples are not whole passages of my creative work. Shrine: The copyrights of the samples you can find online are usually well regulated, some are free under creative commons license, others are paid. Some even require a license subscription (annual payment). But, if the question is about sampling someone else’s work, then I don’t know. I personally think, if you use a sample created by somebody else, your best option is to transform it drastically, so it becomes something else, something made by you. Of course, this is true for musical “played” sounds. If it’s field recordings, then I guess it doesn’t matter. Field recordings are not “played”, just recorded by somebody. Sonologyst: There are a lot of free samples around, or ones which are simply usable by asking the owner for permission. But, for more specific knowledge of the argument, I suggest to read the related laws of the source origin country. a. When you use instruments in your music do you play a real instrument yourself? Treha Sektori: I play several instruments badly, but I play ’em, myself. Kammarheit: Most of the time I play the instruments, myself. With the way I create my music, the live recording doesn’t have to be very good. I treat it as I treat my field recordings, by extracting the best parts, manipulate them, and turn them into a playable instrument in my computer. Sometimes I am lucky though, and there is no need for a lot of tweaking. Aegri Somnia: Yes. I plan to record more guitar-based ambient in the future. Stuzha: I use many instruments. Hard to tell which is my favourite, but I equally enjoy ‘torturing’ a guitar or ‘hammering’ a synth. Seesar: Yes. I play all percussion, horns, stringed instruments, re-purposed items, and any instruments I have constructed. Plus, I record my own vocals, whenever possible. Skadi: I use guitars in my tracks. Furthermore, I own a Korg Wavedrum which might have an approach in one of my future works. I have some experience with other instruments like flutes, violin, etc., but unfortunately, I didn’t master any of them. Shrine: I used to play various instruments before I turned to computer music, but not anymore. The last time I sampled myself playing real instruments was at some of the recordings for Somnia back in 2008. Now, I play virtual instruments. Taphephobia: Yes, I play most of my music, myself. I play guitar and sometimes play around with synth. Ugasanie: Yes, I play myself. Treha Sektori: I’ll try to make a sound like a violin, but with another instrument (favorites to recreate are mandolin played with a bow and theremin). Stuzha: There are great violins in various VST’s, like Atmosphere, as I remember. Mebitek: I use some Kontakt libraries that I own (especially from Spitfire Audio). Seesar: Since my music focuses on employing extended techniques on acoustic instruments, re-purposing items not originally intended to be used as musical instruments, and constructing new acoustic musical instruments, I rarely use simulated instrument samples. That is not to say they are not highly useful, however. There are several banks of excellent instrument samples in various libraries. Many of which are available to be purchased or free to download. Often, free libraries are licensed under creative commons licensing. Whilst purchased libraries are primarily copyright-free. So they are able to be used without additional acknowledgement. Native Instruments provides some of the more widely-used libraries. Ear Monk lists multiple free sample libraries, available for download on their website. Studio One offers their top picks for sample libraries, with reviews to help you select what is best for your compositions. Also, many production companies, such as the BBC, sell sound effects and instrument sample libraries that are exceptionally useful. Research whatever library you wish to use before purchasing, to ensure you get a collection of sounds that will be aesthetically matched with your style and works. Skadi: Since I work alone, I mainly use specific libraries, like the Quantum Leap Orchestra Gold, to create authentic orchestral instruments. protoU: Most Kontakt patches have really good sounding instruments. I don’t usually try to crack my head around that. I just try to find the one of the highest quality, and go from there. Shrine: There are virtual instruments of amazing quality you can play in Kontakt. You can have an entire symphonic orchestra if you want (and can afford). Sonologyst: I prefer to directly ask other musicians to realize the part, so to have a more natural and warm sounding effect. Taphephobia: I have a friend who can play cello, harmonica or contrabass. There are programs that do this, of course, but it is not something I do on a regular basis. But maybe in the future, I will never say never. For now, what I do is just for making short samples or synth background sounds. Ugasanie: You can try to replace the sound with a synthesizer. But, it’s better to find a musician who will agree to help. a. How important is mastering in dark ambient? Atrium Carceri: On a scale from 1 to 10, very. Seesar: Extremely important. That does not mean do it yourself, if you do not have the equipment or experience to do it professionally. That means, if you can not do a professional job mastering, yourself, get your tracks to someone who can. Also, consider how much mastering is required. Will your record label be mastering your track(s) for you? Are your tracks being presented by themselves, as a collection, or as part of a compilation that will host other artists (and therefore other recording situations and masterings)? Mastering a dark ambient track is highly important. Soundscape music often incorporates similar timbres and frequencies. So, ensuring that your track is crisp and all of your sounds are heard as you want them to be is very important. Mastering also provides a unification of sounds through balance, spacial simulation (primarily use of an overall reverb to make all sounds seem like they are coming from the same environment), et cetera. Alternatively, if that is not the aesthetic that you want as a composer, you can master your track to highlight whatever factors you see as being in need of enhancement or being pushed to the forefront of the piece. Skadi: Mastering is as important for dark ambient as it is for other music genres. However, the specific requirements of dark ambient have to be considered during the mastering process. Mebitek: It is very important, as in all productions. protoU: Mastering is as important as it is in every music genre. It’s something that shapes the sound of the track and makes it look more professional. Shrine: As important as in every other music genre: very important. Ugasanie: This is the polishing of the finished product, and an important part of the necessary process. Taphephobia: I guess it is important to make the album sound as good as possible. It can change the track for the better. Also for the worse, if it’s badly done mastering. Just turning up the volume to maximum and forgetting about the dynamics in the music might destroy the whole track. Treha Sektori: It can definitively improve your story. Personally, I use a lot of sub basses, mastering can clean ’em and make them more powerful. Aegri Somnia: It is important, as it give your song final sound that will be good everywhere, on whatever speakers. Stuzha: I find it essential, actually. I, unfortunately, don’t have enough time to learn the process properly! b. Can a musician, with limited training, master their own album? Atrox Pestis: Certainly not to the sense of what mastering really is. Without experience, you could run it through some preset and make it sound better to you. But, I would still consider this part of the final mixing process. If you have more technical knowledge and the studio capabilities, then certainly. I see mastering as an entirely different beast, and although I do master my own material, its often good to give it over to another set of ears. When I master other people’s material, I approach it with outside ears, completely detached from any feelings about the creative process that lead the album to its current point. Aegri Somnia: Why not? Mastering is all about ear training, reference material, and use of specific plug-ins. Atrium Carceri: Mastering is a subtle process, but it takes a lot of training. Stuzha: There are very useful clips on Youtube, which will teach you how to do the basics. Mebitek: Yes, but practice makes it better. Seesar: It is possible to make a difference using mastering software without extensive knowledge of mastering engineering. But, I would also say that, whilst it is easy to make notable changes, it is also exceptionally difficult to make subtle, accurate, professional changes to an track’s overall sound without research, training, and experience. If you wish to master your own tracks for end result publication, definitely take the time to learn the software necessary, work through mastering tutorials to understand exactly what will help you achieve your mastering goals, and test methods and software with a critical ear on professional equipment, to experience the variety of ways in which your mastering can alter a track before settling on a final version of a piece. Skadi: Of course. There are many guides and tips around in the internet explaining how to master a track correctly. It’s no witchcraft to produce good quality material with some reading and learning. protoU: Sure why not. If you learn to make it all better – all means are good. Even the guys that master professionally still learn every day. Shrine: Yes, but the results probably won’t be stellar, at first. Good mastering needs practice, like everything else. Sonologyst: It’s not an easy job without a little bit of training. Taphephobia: I will say that is possible, but maybe not the best idea. It is always better to learn it thoroughly, or let people – who are really good at it – do the mastering. c. What programs do you use for mastering an album? Aegri Somnia: Ozone and Waves have very solid solutions for mastering. Seesar: I use the mastering suite, within Adobe Audition, and Wave plug-ins, at least for initial mastering tests. Spectral and frequency analysis is essential for determining how to use your equalizers, compressors, reverb, stereo-enhancers, exciters, or whatever else you opt to use in your mastering engineering. 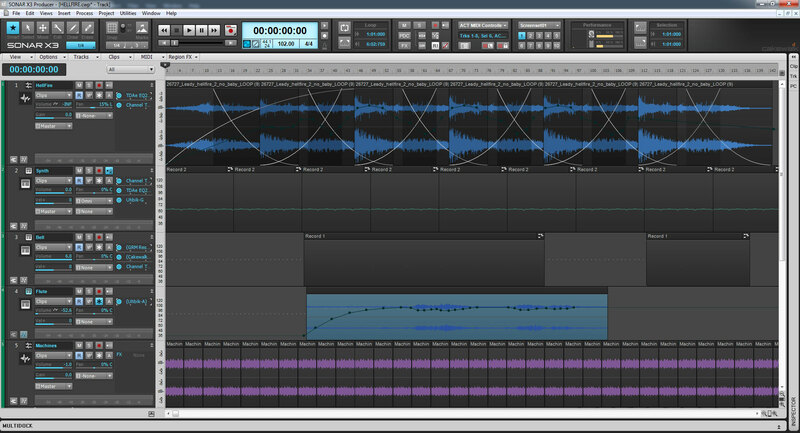 There are multiple programs, plug-ins, and suites you can use to master. However, you must also have reliable amplification, playback means, and preferably various locations/environments in which to listen and analize your mastering. Take your time, and listen to your mastering attempts carefully. Be sure to label your files clearly and informatively. Send your final tracks to your label and have your producer give them a listen, too, in case something that works on your DAW does not work as well on another system. Atrox Pestis: Pro Tools, Peak Pro, Izotope. Shrine: For the last several years my approach is based on hybrid mastering – I’m using both hardware and software. When down-mixing a track, I pass the mix through an aural exciter in real time (a SPL SX-2 Vitalizer, or a SPL MK2-T Vitalizer). Then, I pass it through a multi band stereo imager, in order to manipulate the stereo field performance of the signal for different frequency ranges. Then, I use the T-Racks 3 audio suite (imported as VST into Sound Forge) for final EQ-ing, compressing and limiting. Taphephobia: I don`t master my own albums. I know people who are better at doing it than myself. Ugasanie: If I do it, myself – Adobe Audition. d. If paying another person to master an album, what credentials should they have? Atrium Carceri: They need to understand the process of mastering for more than one genre of music, preferably two polar opposite genres, in terms of mastering. I’ve seen EDM only masterers wreck ambient albums, by using faulty settings on compressors. I’ve seen ambient only masterers use the same long-drone settings applied to styles of ambient that should have a completely different approach. Shrine: I am aware of several cases of mixing or mastering engineers refusing to work on ambient material. You see, mixing and mastering ambient is quite different from mixing and mastering any other music that’s based on rhythm or singing. No, it’s not necessary for the person mastering your album to be making dark ambient themselves. But, it is necessary to have experience with low dynamic range music that is full of sounds that spread over the entire audio spectrum. Atrox Pestis: It completely depends on the versatility and experience of the person. Check their portfolio, do they only master a certain genre? Seesar: Preferably, you would want someone who is familiar with your style of music, whatever that may be. In this case it is dark ambient music. Although, it is not altogether essential. The main concern is making sure your track is treated for balancing the sounds with which it is composed and smoothed out professionally. Treha Sektori: I like people that are not really in dark ambient, for mastering. They have strong ears on different paths. It is interesting to hear how they feel it about the music. Stuzha: I did pay a couple of times for mastering, in the past. I think, now, it was a bit useless. You can do better basic mastering on your own, since you know exactly what to accentuate. Skadi: If you’re using third party mastering, they should have knowledge about ambient music, since it has to be mastered differently. The best approach would be to provide a good mastered example track, in order to have some comparison. Sonologyst: It would be better if the mastering service comes from a person with a good sensibility for that kind of music. If a musician who plays himself that music, that’s even better. Taphephobia: I will say it is a good thing to make dark ambient, but it is not the most important thing. The most important things are having good ears for this kind of music, and understanding that mastering dark ambient is not done the same way as, for example, metal or rock. e. What are the differences between mastering an album for various formats: digital, CD, cassette or vinyl? Should each have a separate mastering? Atrox Pestis: Absolutely. They are all different forms of media and have different tonal and physical playback characteristics. I split hairs even further, and master records depending on other factors such as: where and how the cassettes are being dubbed, who or where is cutting the master lacquer for vinyl. Atrium Carceri: Digital can have a bit more oomph in the lows and highs. CDs need to be mastered with 16 bit dithering in mind. Vinyl needs monolized bass and more bass control so the needle doesn’t skip when played back. Seesar: The final media of a release determines playback means and each device has a unique set of frequency ranges reproduced and highlighted, even if played through the same reinforcement system. Therefore, the final media type of a release should definitely be considered. Separate mastering should be engaged for each media type. For instance, a mastered track for a cassette release will necessarily be quite different from a CD or LP release. Sonologyst: There’s a certain difference about mastering a vinyl compared with cd or cassette mastering. It’s related to the output levels that differ, in the vinyl case, depending of the track position (closer to the edge or the center). So as matter of fact, they are two completely different mastering. Skadi: Each media needs to be mastered differently. You can master them on a generic level, but you have to consider different aspects on each media. For example, CDs need headroom, and in some cases dithering is also helpful. On tapes, you have to deal with tape saturation. The best is to gather information for any specific media you want to release your music on. Shrine: There are some differences depending on the media – digital music platforms have a specific set of loudness rules, for example, that you may want to follow. With vinyl, you have to approach some sounds differently, for example, bass (if too loud or out of phase) can cause the needle of the turntable to jump out of the groove. It’s best to have a separate mastering for each different media, but I never bothered with that. I master my music for CD and later just upload it to Bandcamp without any changes. Online music platforms are performing volume “normalization” based on specific loudness targets for every uploaded file, so a possible negative effect you can experience is to lose some loudness, especially if you tend to compress a lot. a. What are the best aspects of creating dark ambient? Kammarheit: It is a great tool for dreamers and introverts. The music allows us to go on adventures in our own minds, which is a wonderful thing. The music can be a helping hand to reach other worlds for a moment. A tool to express or re-create these worlds. For me, it began as a way to deal with insomnia and a way to explore a certain type of environment I kept picturing in my head. The music kept me occupied and was a good companion, that made sure I was still experiencing a sort of dream world, even if I couldn’t sleep. Today, it is so implemented in my life that I can’t imagine being without the mindset this music puts me in. An everyday feeling of awe. Aegri Somnia: Freedom and endless possibilities of sound design. You really can do what you want, how you want. 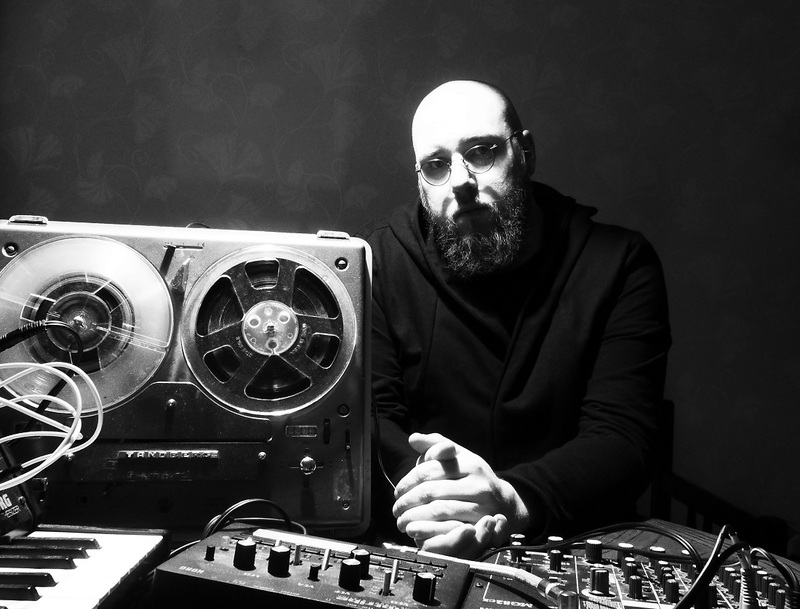 Seesar: For me, the best aspects of creating dark ambient music are the incorporation of my most exciting influences and my lifestyle into a creative form, resulting in artistic output that I can embrace, with the possibility of making it my vocation. The musical possibilities are unlimited, and always exciting, and ever inspiring. The dark ambient genre continually provides an body of works that truly is enriching and unequaled. The genre is only a mile wide, but a thousand miles deep. Skadi: For me, dark ambient creation is a catalyst of emotions. As some people use a diary to write down their thoughts, producing dark ambient music is also a method to “write” down the feelings. Dark ambient gives the best opportunity to express yourself. Creating dark ambient music is a true relief. protoU: The opportunity to play with listeners’ minds. You can manipulate and influence them. It makes me feel like a cool kid, that makes grown-ups live a fantasy through sound. Shrine: The joy of the music. Sonologyst: It gives you the possibility to be in deep connection with your profound states of mind. Taphephobia: I improvise a lot. So, for me, it is to create something that used to be completely unknown to me, in the first place. To create something I hadn’t imagined or known about before. Treha Sektori: The surprises, the physical experience. b. What are the worst/hardest aspects of creating dark ambient? Ugasanie: For me it’s an idea, a concept. If I do not have an idea or any history (I call it “have a legend”) – I will not create anything. Just because it does not work. For me, this is the basis. When I have an idea, I start to hear how it should all sound. Treha Sektori: Not repeating yourself. Kammarheit: Staying awake in the studio is the hardest aspect of creating this kind of music. Once a meditative loop is playing, I feel the urge to lay down and start dreaming. I take more naps in my chair than I care to admit. And, I have the back problems to prove it. Mebitek: To be original, and to create non-boring things. Seesar: Perhaps, not repeating musical motifs to a fault. I have many compositional and performative favourites. So, reusing them is something that happens occasionally. I have to regulate my use of certain sounds and dynamic patterns, to ensure I do not risk my pieces sounding the same. But, also, without losing sight of my stylistic traits I have honed. There is a balance I must observe, but it is not so much of a hardship. Rather, a challenge that assists in formulating my personal contribution to the body of works in the genre. Skadi: When you have to deal with thoughts/emotions, which you want to transfer to music, but you’re not able to. It’s hard to have sounds and melodies in your head, but cannot put them together as a track. That’s probably the hardest aspect of dark ambient, for me. protoU: The darkness of it sometimes comes into your life, but it is only a matter of your mindset and control. I am very emotional, empathic, etc., but I try to manage that currently. Shrine: The pain of the music production, in case you care about good sound quality. Sonologyst: There aren’t bad aspects, for me. Taphephobia: There are times when I feel numb, and every time I record something, it sounds uninspired. It can be really hard. It is also hard, when you have a deadline and you just feel drained after work or other activities that have nothing to do with the music. c. What are some things that an amateur should avoid doing at all costs? It is best to check your mixes on different sets of speakers. If you can only have one pair, get the biggest ones you can afford (only if your room is big enough). Listen to your mixes really loud for a moment – the human ear’s frequency response is not linear, and it will deceive you, if you listen quietly all the time. Get a pair of studio headphones (not hi-fi, they are usually biased), and use them to check details when composing and mixing. Never mix only on headphones, though. And, never do mastering on headphones. Avoid low quality sound sources (be it synths or samples). It will be hard or impossible to fix later. Understand the essence of equalization. Why it is important to achieve loud and powerful mixes. Understand the essence of compression and side-chain compression, and why they are important to achieve loud and powerful mixes. Know what dynamic range is, and why is important. Know what a headroom is, and why is important. Understand the difference between perceived loudness and actual loudness Learn how to use loudness measuring tools. Do not use dynamic-range measuring tools, though. They don’t understand ambient. Remember that, when it comes to loudness and sonic power, less is more. A track with too many sounds will never achieve the same level of perceived loudness as a track with fewer sounds. And finally, but most important of all, take long breaks from the music you are working on. It’s a common psychological phenomenon that, when you spend too much time on something, you stop seeing (hearing) it realistically. Taking a break that is at least a couple of days long will show you the difference between good music and boring music the next time you listen. I, personally, delete about 70% of everything I compose. At the time of composing, all sounds great. But, a week later… not so much. Treha Sektori: Try to succeed at any cost. It’s by falling that we find our way. Artwork by: Dehn Sora / Treha Sektori from ‘The Sensation of Being One of Them’ artbook. Stuzha: Spending lots of money on equipment, and not using it afterwards! Mebitek: You can do all for free, as you can find some good, free VST’s and a good, free DAW (Reaper). Seesar: I would suggest, rushing the completion of new works could be an issue. Take your time and develop your pieces. Try not to fall into traps of producing tracks that are easy to make. Making dark ambient music need not be difficult, but hastily creating a work can result in a lack of reflection that will be quickly noticed by fans and critics. Furthermore, seek something unique to inject into the genre. Respecting and utilizing staple musical elements of the genre is completely acceptable, of course. But, introducing personalized nuances to your tracks will not only gain fans, but also a means to cultivate your self-expression, and carve your niche in dark ambient music. Skadi: First off, spending too much money into equipment, without knowing if you will stick to music production or not. Secondly, starting to think that your production is crap. Even if the early work sounds less impressive or complex, it’s still a part of the composer. If you don’t like aspects of your tracks, try to improve them to get better. Defining one’s own work as crap will most likely stop the composer from producing more. protoU: Using samples without permission of the author. Using ambient as a way to convey very bad emotion. Ugasanie: Lack of interest in what you are doing. Also, do not adjust to someone, do not copy their sound, effects, and/or tricks. Taphephobia: Don`t try to copy others. Make your own signature sound. Don`t ask people how to do everything for you. It is good to ask for advice, when it comes to creating music, but don`t let others do the steps for you. Kammarheit: I have tried both things. An album each ninth year and a few albums each year. I can’t say for sure what I think is the best. I seem to have an endless need for exploring and expressing things with music. If I have put my heart into an album, and I feel that it is truly completed, and that I have lived it, then I think it should be released. Just don’t be one of those people who have a hundred albums that all sound the same, on their Bandcamp page. Or, even worse, hundreds of albums that don’t seem to have anything in common. Not everything we create needs to be made public. Shrine: Once a month? Seriously? Unless your aim is to release uninspired cheap cliches that have been done hundreds of times already, this seems like a really bad idea. You better take your time. Treha Sektori: Which ever time they feel that it is the right moment. Stuzha: Quality vs quantity… In music, the former is, and always will be, more important. Take your time. Seesar: That entirely depends on your level of professional engagement, your support of your releases, and your connection to labels or other means of disseminating your works. If you are planning and able to support your releases with live tours, then releasing full collections of tracks should be less frequent. However, if you are primarily a studio artist, then producing more works and making them available online should be far more frequent. In either case, you should always compose and release a variety of tracks in smaller settings, such as compilations and stand-alone videos, continually, to keep your fans interested in your music and aware of your style. For me, I prefer to release three full albums a year, and approximately eight to ten tracks on compilations or videos. I perform live, when possible. But, the regularity of live performance fluctuates depending on many factors. Regardless of frequency, I recommend playing live to support your music as much as you can. 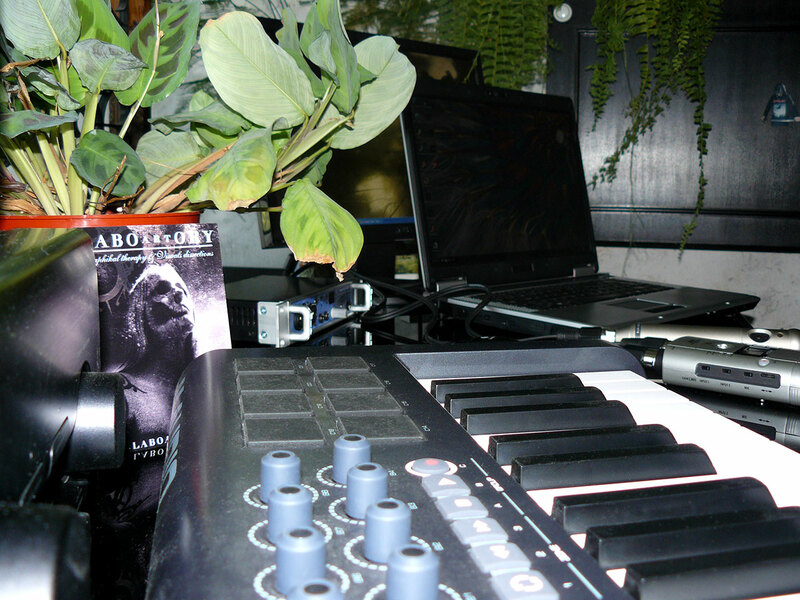 The combination of live shows and recorded releases is invaluable for the professional dark ambient artist. Skadi: It’s helpful to improve the awareness of people by releasing one or even more albums per year. However, I don’t think that any producer should force his or herself to produce albums. Dark ambient is very personal and emotional, and so the emotions and situation should fit during the creative phase. protoU: I think several times a year is more than enough. Sonologyst: Every artist has to find their own way for that. It’s impossible to give general advice. In my case, I found the good and natural rhythm working on one release a year. And, I don’t exclude to increase the interval between two works. That allows me a major deepness, awareness and consciousness of what I’m going to do. Basically, I start a work when I really have something to communicate. After I’m aware of that, I need time to explore how to communicate it. Taphephobia: It is impossible to say, because labels do not always release the music right after it is finished. Personally I find it kind of confusing when artists for example release 5 records in a year. But, that is me. Do they make music all the time, or they just make some fast McDonald’s ambient to spread to the masses!? Ugasanie: However it goes. I try to release an album when I feel that the album is ready and everything is in place. How many times a year? It does not matter. Of course, I would like to do this more often. But I work on two jobs almost without days off for 12 – 16 hours a day. I do not have much time for music. All that I create is done contrary to circumstances and because of a lack of sleep. e. Should a musician know the history of the genre before creating their own music? Treha Sektori: I don’t think so. Might be even more interesting to have your own work without knowing any standards and get into it with virgin ears. Aegri Somnia: Absolutely. What is the point, if you do music and don’t know the history nor are you a fan of the specific music genre that you have decided to make. Mebitek: I think that is not important. A musican should know what he’s doing. That is enough. Seesar: Before creating their own music? No, not necessarily. Should an artist know the styles and their development within dark ambient music? Absolutely. If not coming into the genre, then learning over time as you embrace the genre. It is a useful means to cultivating your own style, being aware of what is happening in your area of music, and, of course, it is fun and exciting. That being said, creating new works without a depth of knowledge of the genre is perfectly acceptable, and can assist in creating new directions and forms. Either way, engaging in your music with creative fervor is the key, no matter how much you inform yourself about the genre beforehand. Skadi: It’s not required but recommended to know at least some history of dark ambient. protoU: I think a musician should be aware, but it is not some kind of school or university. So, there are no strict rules here. Maybe, music naturally comes out of a person’s mind, before knowing it is dark ambient. Before knowing what it’s about. Sonologyst: Not necessarily. But, it would be a crime to ignore all that beautiful music created in the latest decades. Taphephobia: Some basic knowledge is important, like knowing what not to do. I personally stay away from an elitist way of thinking. Good music is good music. Freedom to make music to be the music you want is more important than having the right records in your collection. Personally, I don’t care what the creator is listening to at home, or how much he/she knows about the genre. If they don`t know anything they would probably make other kind of music. f. What advice would you give to a person just coming into dark ambient, as a potential artist? Kammarheit: Spend time with your concept, know what you want to express. Have patience and don’t expect your music to instantly sound like the perfect mixture of all the established bands you like so much. Maybe, start as a minimal drone project, and gradually add more elements to the music. See what you can do with the equipment you already have. And most of all, don’t sit and wait for inspiration. Open the program or connect the equipment and see what happens. Do this a few times and inspiration should come. At least, that is how these things works for me. Procrastination is for the soul crushing everyday tasks, not for creativity. Procrastination is for the soul crushing everyday tasks, not for creativity. protoU: I would recommend to listen and absorb nature and the city. Dark ambient has no strict rules or limits. It is about nature, environment and feeling. So, as long as you listen to the surrounding and get the vibe of it, you will convey it nicely into a dark ambient track. Atrium Carceri: Innovate, don’t imitate. Have a vision of what you want the listener to experience. Think visually if going for a cinematic vibe. What do the sounds represent? Be clear on why sounds are panned to where they are in the mix. If the audio was a soundtrack for a movie, what would the scene look like? Once you get a clear picture of the scene, you can start building it up as an audio representation. The click of a blinking tail light from a crashed car. The hiss of smoke from the smashed hood. The sway of trees in the wind. Gravel creaking as the subject walks from the left side of the screen (speaker) to the right. The freedom to build scenes like this is what separates dark ambient from other genres. Have fun with that. Treha Sektori: Dig, fail, try again. Sonologyst: Work with passion and don’t be in a hurry. Don’t release huge amounts of music, just to show the audience what is going on. That is a mistake many people make. The process of improving your own style should be something private. Taphephobia: Find the music program you are most comfortable with using. And, learn to play an instrument. You don’t have to be a really good musician, but it will make it much more interesting, and it gives the music a very personal feeling. Learn to make drones and a good flow. There is nothing worse than a track that sounds unfinished, and lacks this flow. Never give up, even if you get some bad feedback. It is more important to have friends that say what they really mean, than friends that tell you it is good because they are afraid to hurt your feelings. Skadi: Listen to your inner self. Listen to your emotions. Let it flow into the music you want to create. Try not to please other people with your music, but produce music you like. Don’t be ashamed, be inspired by other bands. Find your own way and style, step by step. Ugasanie: Do the music that you like most. Do the music you want to listen to yourself. Aegri Somnia: Take your time. The only imortant thing is that you like what you do. Stuzha: If you do music, do it only for you. Others might like it, but don’t be disappointed if they don’t! Mebitek: Be original and always experiment! Seesar: Listen, reflect, and be inspired. Dark ambient music is a form of composition and performance that draws heavily from emotion and intelligent critical thinking simultaneously (as with many forms of creativity, of course, but particularly in the case of dark ambient). Research your influences. That does not mean specifically other dark ambient artists. In my case, it means reading Lovecraftian fiction and learning about Italian Futurist composition and aesthetic concepts. Whatever drives you, embrace it. Allow it to assist you in formulating your compositions and personal style. Use what means you have at your disposal to inform your particular nuances. Know you are entering into a very unique and welcoming genre, where assistance, discussions, collaborations, and camaraderie are constants. Enjoy and flourish! A few more explicit pieces of advice I may impart include: be sure to explore the treatment of your sounds and samples, to find methods you prefer and timbre you want. Then, compose afterwards. Creating a new piece can be approached in a plethora of ways, from recording tracks and manipulating them, to taking samples and building a soundscape from those, to live, untreated sound production. Find the compositional approach that suits you and your aesthetic best, including the treatment of sounds to make your composing faster, more enjoyable, and professional. Also, take the time to analyze your methods and music periodically. Assess whether or not you feel you are engaging with your music as you would like. Are you wasting time? Are you getting the sounds you want? Are you getting the number of releases you expect? Do you feel your work is professional? Is your business as a dark ambient artist composer and performer reaching the goals you set for yourself, creatively and financially? By taking just a few moments on occasion to think about some of these questions, you can find strengths to embrace and less strong areas to improve, keeping your music fresh and your work as a professional musician moving forward. A huge thank you goes to all the artists that took part in this undertaking. This could never have been possible without all your time and effort. Much appreciated! If you found their information helpful or entertaining, please show your support by purchasing their work! Amazing and very informative reading, thanks a lot! Wow! Such a massive and inspiring read. Absolutely loved it. Took me two hours to made through the whole article but it was totally worth it. My thanks and gratitude to all the artists and especially to you Michael! Keep up the great work. Thank you so much for this article! A very inspiring read, and no doubt one that I’ll get back to again and again. Thank you for your input on clearing things up on this interesting topic! The article was well written, but could have been more condensed in length: half the length to be exact. Many artists said the same things and therefore a more compressed representation would have been more suitable. And it is indeed complimentary to correct spelling errors.